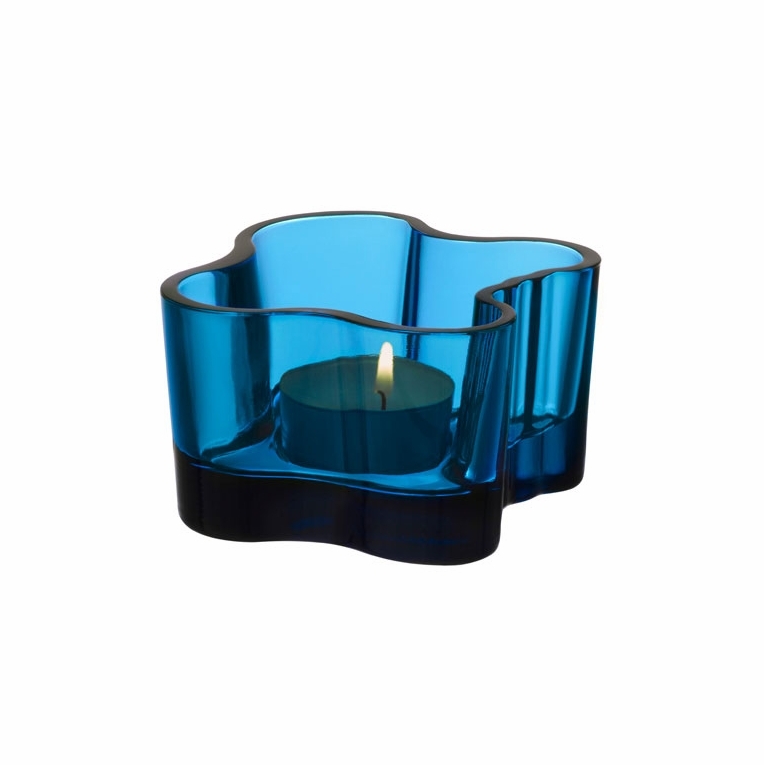 The iittala Aalto Turquoise Votive provides a brilliant blue to balance out the bright blaze of a candle’s flame. The turquoise hue grows bolder at the folds and curves of the Aalto votive and subsides into a more subtle and tranquil blue at the candleholder’s sides, while the thick base acts as a nice foil to the flame, cementing your eyes down as the flare pulls them up. Made of mouth blown glass, the votive has an inset for tea lights to rest without worry of moving around.